These therapists have undergone intense training and have dedicated a lot of time in self study to become Certified Medical Massage Practitioners (CMMPs). Personally knowing and working with each of them, The Science of Massage Institute stands behind their expertise and ability to deliver stable clinical results. These practitioners are our colleagues who also educate others and spread science among the massage community and other health practitioners. 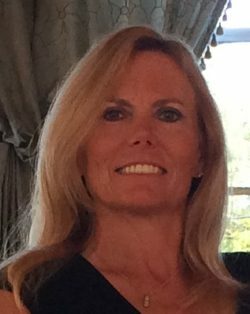 Angela Bitting has 25+ years of massage experience and is a graduate of Eckerd College, with a degree in Wellness and Holistic Health. She has been providing treatment oriented sport specific massage and stretching to professional athletes for over 15 years. Ms. Bitting had the honor of being a member of the sports medicine team for USA Track & Field, including multiple trips to World Championships and the last two Olympic Games. She most recently was a member of the sports medicine team supporting the US Women’s National Soccer during the 2015 FIFA Women’s World Cup. 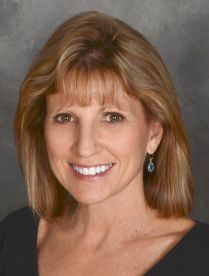 Angela operates a private practice in the Tampa, FL area where she resides with her husband Mike and daughter Amelia. I heard about Medical Massage and Dr. Ross Turchaninov through the years and at one point I decided to take one of his classes. All I can tell you is that “I WAS HOOKED!” To find this depth of science referenced, proven, predictable - Medical Massage treatment was exactly what I was looking for. I recognized immediately that this level of information raises the bar for the entire massage industry as well as the people who are in such need of help. 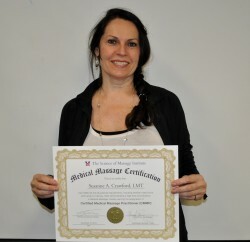 The timing was also perfect for me to continue taking classes for my own educational interests and to earn my Medical Massage Certification from SOMI. I have dedicated the last few years to this goal and in November 2015 I was very proud to receive my CMMP Master Certification from The Science of Massage Institute. 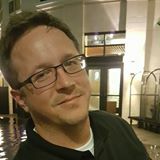 There are 10,000 licensed massage therapists in the state of Florida and the competition is horrendous in the Therapeutic and Stress Reduction area, but with my CMMP my business is totally unique. I am able to treat chronic pain and pathologies that Therapeutic and Stress Reduction massage will never be adequate for. I understand much more clearly how to differentiate between the integrative options of Chiropractic, Physical Therapy and Medical Massage treatment for my clients and when, why, where, how and what to recommend to them for complete health. Thank you, Dr. Ross for this opportunity. I will continue to enjoy learning even more from you in the future. 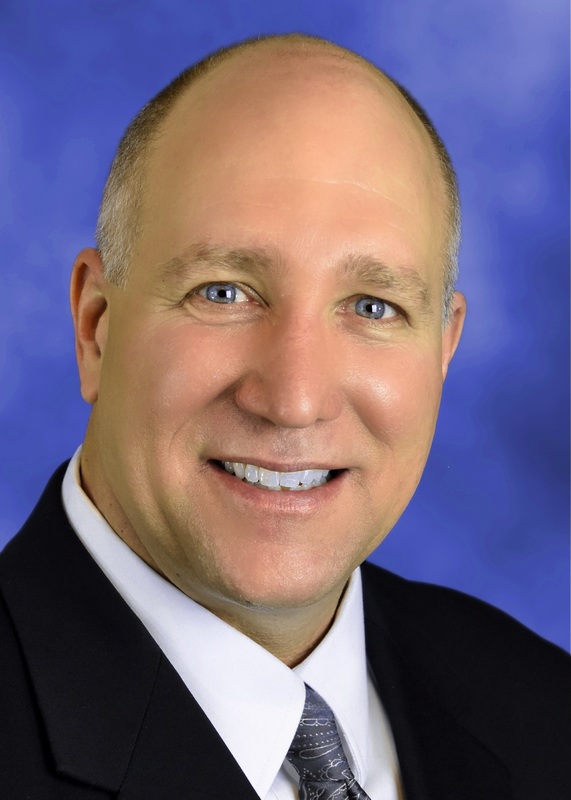 Beginning his journey in 1987, Dr. Cullers has had a very successful career as an "Award Winning Massage Therapist" and as a National Academy Sports Medicine Certified Personal Fitness Trainer/APEX Fitness Professional. 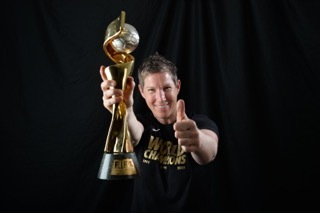 He has worked with Movie Stars, Movie and Television Producers, Owners of Fortune 500 Companies, Professional Athletes, as well as IronMan Triathlon competitors, Boston and New York Marathon competitors, and many Amateur Athletes. In 2001, Dr. Cullers established a chiropractic practice in Ormond Beach, Florida and developed a very successful chiropractic practice consisting of 5 locations throughout Volusia County. During this time Dr. Cullers was able to further develop his business and clinical skills as a Massage Therapist. 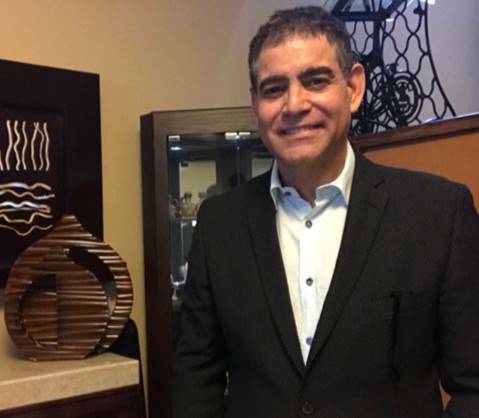 In 2005, he enrolled at Palmer College of Chiropractic in Port Orange, Florida and in 2009, graduated with a Doctorate Degree in Chiropractic Medicine. In 2015, Dr. Cullers became the only Florida Physician Certified by the Science of Massage Institute. Dr. Cullers has been granted permission to teach Medical Massage on behalf of the Science of Massage Institute, founded by Dr. Ross Turchaninov MD based in Scottsdale Arizona. Dr. Cullers is approved by the National Certification Board for Therapeutic Massage and Bodywork (NCBTMB) as a continuing education Approved Provider (NCBTMB #705311/20), is sponsored by NCBTMB to teach New York LMTs continuing education that is accepted by the State of New York for license renewal, and is a State of Texas Approved continuing education provider (CE #1709). Additionally, Dr. Cullers serves on the Advisory Board for IMTCC the International Massage Therapy Credentialing Council. 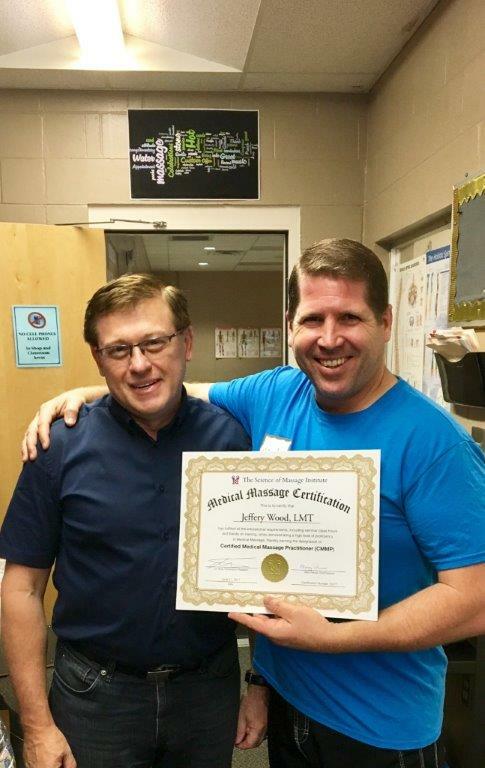 He travels nationally teaching healthcare providers across the nation his curriculum consisting of Medical Massage, Lymphatic Drainage, Neuromuscular Massage, Orthopedic Evaluation and Assessment, Insurance Billing and Documentation, and Postural Assessment. Dr. Cullers has had the honor and privilege to have presented his classes to thousands of Health Care Providers throughout the Nation. He feels that his past and present work related and educational experiences as a Doctor of Chiropractic, Medical Massage Therapist, Educator, and a Certified Personal Fitness Trainer have enabled him to use the osseous and soft tissue manipulation methods he has learned to help hundreds of people to improve their quality of life through health and fitness. Dr. Cullers operates a Chiropractic and Medical Massage Practice and provides care to patients from around the world who suffer from a variety of acute and chronic musculoskeletal syndromes. Of all the things that I learned in my twenty plus years in massage therapy, all of it, let me repeat, all of it pales in comparison to what I have learned through Medical Massage. Medical Massage provides me with the education and experience to fill the void that patients, who are in pain, often experience. These patients’ conditions are not serious enough for a surgical intervention and at best are offered only minimal relief through various pain killers and muscle relaxers. This is the area between the pain pills, muscle relaxers and surgery that I work in. Medical Massages provides me with the tools to bring about relief that is clinically stable and unbelievably effective. I cannot understate the effectiveness of the Medical Massage protocols. I am very excited that Dr. Ross Turchaninov through the Science of Massage Institute is offering a certification in Medical Massage Therapy. Our industry needs this and our patients deserve it. I would like to encourage more massage therapists to learn and adopt Medical Massage. I should not be the only massage therapist in San Antonio, Texas practicing this modality. To you who are considering learning this, I can promise you that the financial and personal rewards are definitely worth the effort. Daniel Lopes, CMT graduated from Carrington College (former Apollo College) in Mesa, Arizona. 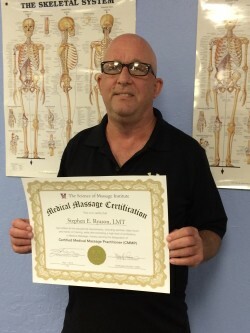 He went on to become a Certified and Licensed Massage Practitioner and is an active member of the Arizona Chapter of American Massage Therapy Association (AMTA). He also received a bachelor degree from Arizona State University focus on Health Sciences. He worked in various settings such as resort/spas, physical therapy, chiropractic and has had the privilege to volunteer with Ironman triathletes. Daniel’s company, ProActive Wellness Massage LLC, was established in 2010. It is a clinical massage therapy practice in Mesa and focusing on Medical Massage. 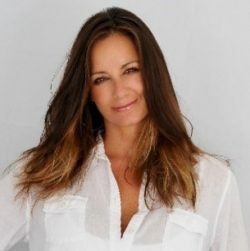 Kara Mirarchi is a massage & bodyworker with extensive training in both Eastern & Western Philosophies. In 2005 she earned a certificate in massage and bodywork from the Palmer Institute in Boston, Massachusetts. Kara was named the Massage Therapist for the US Women's Soccer team in 2005 covering two world cups and the 2012 Summer Olympics in London. 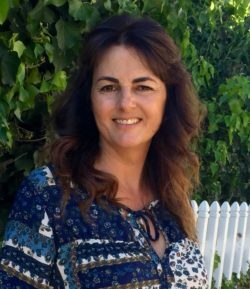 Kara has taught and studied Massage & Bodywork consistently for the past 10 years and is now the Director of the Massage Program at American Career College in Long Beach CA. Kara uses the SOM website and Dr. Ross’s Therapeutic Massage book in her curriculum training students with a more clinical approach to massage therapy. Kara also runs her private practice helping individuals with chronic pain, injury and sports performance. 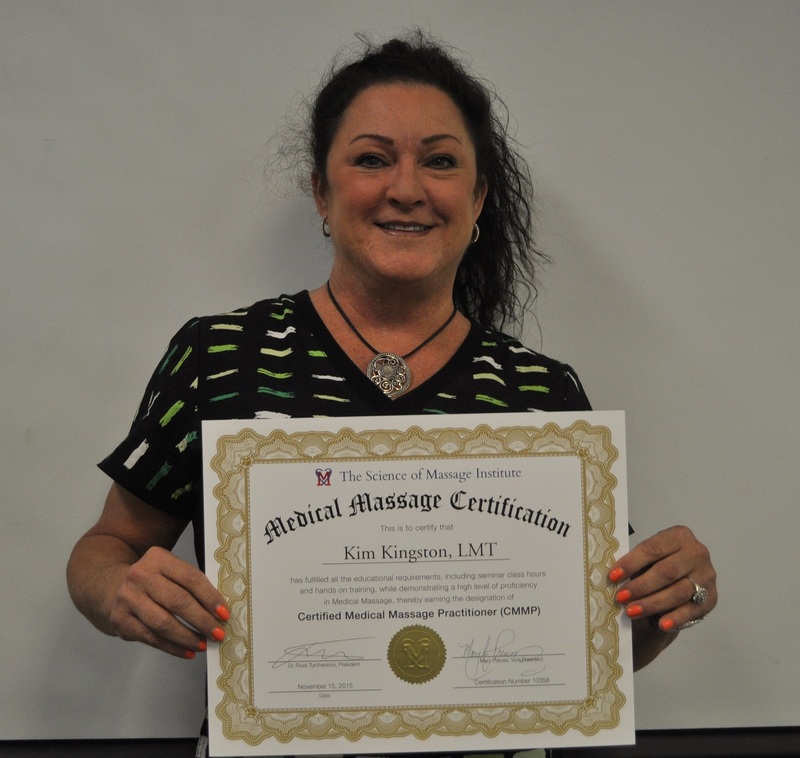 Karen Mooney, PhD, LMT, CMMP has been practicing Medical Massage for 20 + years. 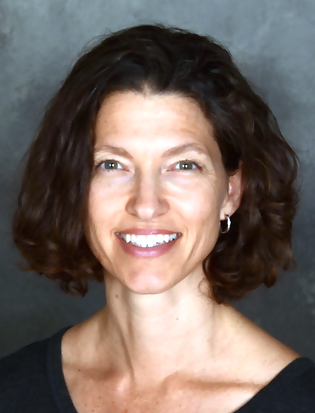 She is a health psychologist with a specialty in integrative healthcare and. her practice has focused on patients with Fibromyalgia and chronic pain syndromes. Dr. Mooney completed her PhD degree with research on the clinical effect of Medical Massage for patients with Fibromyalgia based on the theory of the influence of peripheral mechanisms and trauma in causing and/or exacerbating this illness. She is a dedicated practitioner, educator, and advocate of the Science of Medical Massage. I was fortunate to start my massage career at an outstanding clinical massage program 14 years ago (Ann Arbor Institute of Massage Therapy). My basic training included Functional Testing, Postural Analysis, Neuromuscular Therapy, Myofascial Release, Sports Massage, Muscle Energy Techniques, Swedish Massage, and Shiatsu. Since then, I have continued to feed my love for figuring out the issues people face and assisting to make them better through ongoing training and research. Several years ago, while researching headaches for a client, I found Dr. Ross Turchaninov’s incredible 5-part series of articles on Chronic Headaches. The level of scholarship and practical information were far superior to anything I’d previously encountered. I delved into his other articles, but initially didn’t realize that he provided training and a wealth of other supports as well. When I discovered that, I was excited to attend training with him, purchased his books and subscribed to the Science of Massage website. Wow! The review of all massage articles alone is a tremendous resource - to be able to find everything on a particular topic with an evaluation by a person who knows the science is so much better than trying to pick your way through contradictory information and opinions. The Video Library is a gold mine of techniques, testing, and protocols. I have to commend Dr. Ross for providing a much deeper and broader base of understanding, analysis, and application for massage therapists. He’s done a great deal of work on our behalf and for those we serve. It is so reassuring to have solid science behind you. While there’s enough material to digest for a long time, you can also start using it immediately. I was hooked! I attended a second seminar and then went on to complete certification (and plan to continue learning from him for years to come). No other training helps you understand exactly how things work, how to thoroughly differentiate causes and the best treatment approach, and brings everything together in a comprehensive whole. I appreciate Dr. Ross’ knowledge and experience, hard work, integrity and support. I thought I helped people before, but I’ve found that the level of results possible with Medical Massage are significantly more reliable, complete, and lasting. Stephen Ryason was born in Seattle, WA, and currently resides and works in Scottsdale, AZ. He has been a full-time Massage Therapist since 1996. 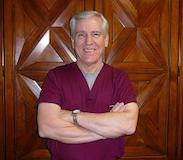 He has a successful practice in Medical Massage in his clinic in Scottsdale. Aside from his passion for more knowledge related to his career, his hobbies include: golf, back country fly-fishing, and aviation. He is a licensed helicopter pilot. Medical Massage has allowed me to truly help a lot of people and, as a byproduct, elevate my status in the medical community and make a very comfortable living. When I was an educator at a major massage university in Southern California, I introduced Medical Massage principles and protocols into the school’s LMT program with astounding results – 97% of our students found jobs immediately after graduation and 80% were with doctors. I currently am building a Medical Massage program specializing in oncology for Glendale Adventist Hospital. When we started, my staff and I were treating 2 doctor referrals per week. Now we’re up to 225 referrals per week. The Science of Massage Institute’s Medical Massage program is real. It’s the only one backed by 100% science. And it works! I grew up in Los Angeles and I was always a junkie for information and education. Two years in college bored me so I went in a number of different directions searching for the right fit, all the while and even now self educating, training and researching in the areas that interest me. A beloved Aunt recognized the Zen like nature of my personality and encouraged me to pursue a career in massage to focus my desire to help others. She was convincing and this led to massage school and I immediately knew that this was the thing that would encompass my talents and passions. As soon as my business was rolling I again needed input - more good professional information in the field of massage. I signed up for a Sports Massage seminar with Oleg Bouimer. I was impressed with the information but it was when I injured myself while dancing that it turned my life around. My second passion is professionally dancing and I’m lucky enough to travel all over the United States with my teams to showcase and competitively dance. We have wonderful fun and I stay in shape while I’m having the time of my life. When Oleg treated my injury it was my “OMG” moment - this stuff really worked and I was hooked. I begged him to teach me one on one every week and my practice started to encompass Sports Massage. Then I found Boris Prilutsky right in my area and he led me to new ways of thinking and examining. When I heard about Medical Massage seminars taught by Dr. Ross Turchaninov I was already expecting the world – and I got it! The science based information in his books is well explained and the evaluation, videos and support material are second to none. I now offer a combination of all three of these concepts in my practice as well as pure science based Medical Massage when the situation calls for it. My life is a dream and my thriving practice is a very comfortable part of that. Thank you Dr. Ross. I was a database administrator by profession. This gave me the ability to stay at home to work and at the same time raise my children. At one point I badly injured my back and for this my treatment plan recommended massage therapy. After just three visits my back was miraculously healed. I never forgot that and after my children left the nest I started to pursue my dream of becoming a massage therapist. I graduated from the Mind, Body Institute in Nashville, Tennessee in 2013. I have been traveling the US to learn and specialize in science based Medical Massage ever since. 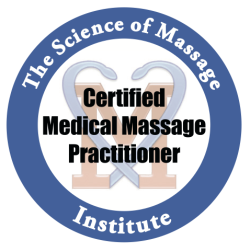 I am proud to have earned my Master Certification in clinical massage therapy with The Science of Massage Institute and now I really can follow my dream of helping others. I can now competently help clients with somatic disorders by following the Protocols and I am looking forward to more training in visceral problems in the near future with Dr. Ross. I have also maintained my personal trainer certification so with that and a massage license from Tennessee I feel I can help my clients most effectively. I have a successful private practice in Chattanooga, Tennessee and I accept clients on a referral basis. I love my family, cooking, traveling and I will continue to feed my passion for self education for the rest of my life. 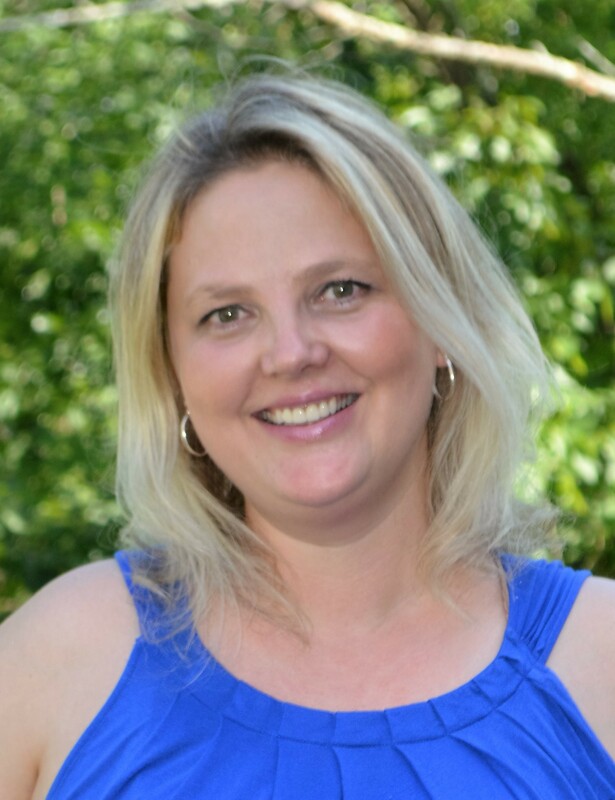 Shea is a Licensed Massage Therapist and Certified Lymphedema Therapist specializing in Medical Massage. She is passionate about learning and has completed an average of 100 hours of continuing education per year over the last 5 years. It was not until taking her first course with Dr. Turchaninov that she started to truly understand what kind of impact her work could have on pain and dysfunction. 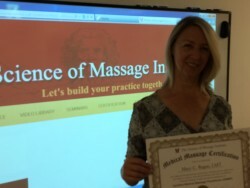 Shea co-owns a practice of 11 therapists in Sarasota (Massage Therapy Connections) where she and her business partner are dedicated to teaching other therapists about Medical Massage. It has become an integral part of their philosophy and business. Through their efforts, they hope to help make Medical Massage a more utilized tool in health care. So here I am, just over two years from when I started, five weekends, countless hours on my "soft parts" as Dr. Ross would say and I now have my own growing practice in medical massage. I am so excited to be on the forefront of change in the massage world. I knew there had to be something more and I found it with SOMI. 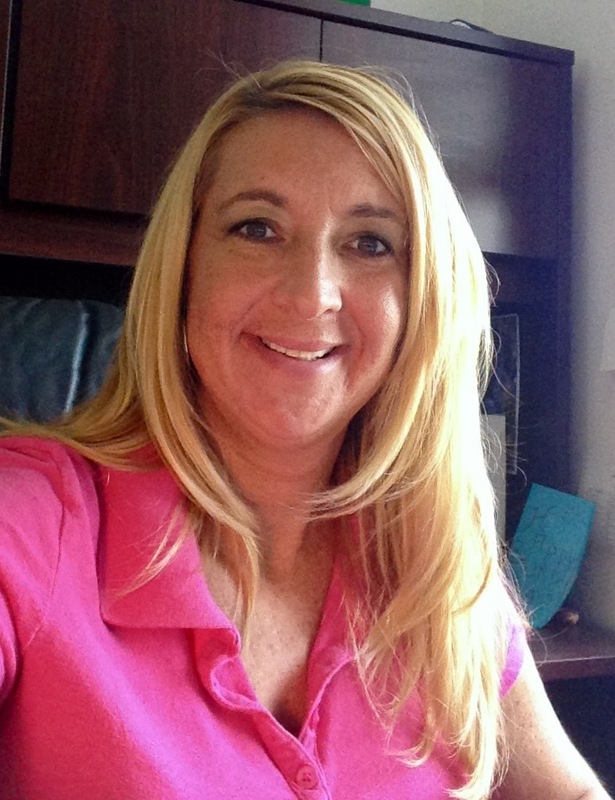 Gina Titus has been a massage therapist for 16 years. She believes in using alternative ways to heal people and modern medicine as a last resort. She has witnessed pharmaceuticals used as a band aid to the pain and knew there were alternative ways of doing things besides putting drugs into your body. As soon as she started massage school she knew it was the right thing for her. Gina received her license from California healing arts in Santa Monica California. After receiving her degree she worked side-by side with chiropractors in helping a variety of pain and ailments. In 2010, she decided to expand her career and start her own business, Gina's Massage and Skincare. Her business aims at providing relaxing and therapeutic massages and facials in the comfort of your own home. Upon growing her clientele she had many people approach her about using massage to heal their illnesses. Because of this she went back to learn from Science of Massage Institute and became Certified Medical Massage Practitioner in the year 2016. She was trained by Dr. Turchaninov who is a science based Medical Massage trainer who’s research material has proven successful in eliminating pain. Now she can treat her clients with the proper protocol and eliminate the pain and change the lives of her clients. Mr. Bouimer relocated to the United States in 1993. Currently, he maintains a very active practice of Sports Massage in Los Angeles. Star players of the NBA, NHL and NFL seek him out extensively for his system of Russian Sports Massage. He teaches nationwide, and has founded a Medical and Sports Massage Club in Los Angeles for practitioners who wish to learn massage therapy based on scientific principles. Mr. Bouimer is founder of the Global Wellness Institute, a non-profit organization in South California which sponsors fundraising events to promote research and education in massage therapy, as well as physical education of kids in public schools. He lives in Los Angeles with his wife and son. 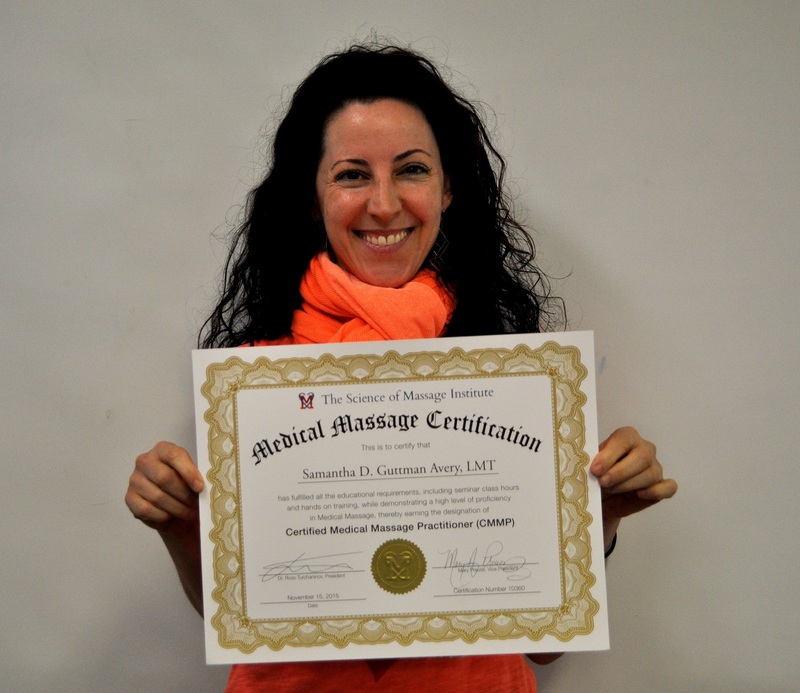 How did I get to completing the SOMI certification for Medical Massage Practitioner? That is a good question. I grew up with a strong interest and ability in math and science and financing. I spent 20 years in a successful career in the construction industry in management accounting and finance. When I had the opportunity to retire early 11 years ago, I took some time to travel with my husband. Then settled home and found some good causes to spend my time on. One of those causes was Hospice. I went through the Hospice training and started to volunteer. As that amazing work continued I found that adding massage therapy to my work offered hands-on comfort and pain management. I went back to school and became state licensed and achieved NBCTMB certified. My initial education was an 18 month - 990-hour Massage therapy program that included in-depth anatomy and physiology studies. From that experience, Therapeutic massage education became a passion of mine that I continued to expand annually. I have studied anatomy and physiology, bodywork, massage for cancer patients, Lymph Drainage, Deep Tissue, Swedish massage, Myofascial Release, Trigger Point Therapy, Sports Massage, Hot Stone, Energy Healing Level 1, and Chair Massage. Things were great I was enjoying this second career just fine. Then I found a SOMI seminar in Inverness, Florida. By the end of the first day of the Medical Massage seminar I felt like a whole new area of massage that included a strong science backing opening up for me. By the end of the weekend seminar it was like I found my home. Every day I am excited about my practice and integrating Medical Massage. I love the science behind the protocols. I am grateful for the community, especially Dr Ross and all the support material including the three books, the Forum, and video library. And thank you to Mary Preuss for all the behind the scene work she does to make this process. I am in the southwest corner of Florida in Punta Gorda. I work out of two treatment rooms, one in Punta Gorda, FL and the other in North Port, FL. The website is www.lorrainerossmassage.com. Office is 941-343-8619 and cell is 304-281-1881. Born in Ukraine, I was first introduced to the benefits of the integrative approach to health and various complementary therapies by my parents. My mother often implemented massage and bodywork to help the kids when something was “off” in our bodies. She even taught us how to apply some basic techniques, and my sister and I often traded back massages with each other while growing up. I firmly believe that having such care very early on in my life has helped my body tremendously, keeping it resilient and pain-free despite all of the soccer practices, athletic activities at school and hard labor at our tiny farm. When I moved to the United States in 2007, pursuing a career in manual therapy became an obvious choice. Having worked on more than a thousand different people, aged 6 to 88, and having crafted many, many massage therapy sessions in the past 9 years, I’ve become very successful when it comes to stress-reduction and therapeutic applications of massage, but was getting increasingly frustrated with the stability of my clinical efforts. Though I’ve been implementing various musculoskeletal realignment and orthopedic modalities, the results have been relatively short-lived and far from predictable. Meeting and learning from Dr. Ross has changed the course of my career and my life forever. My problem-solving nature finally has the right tools for tackling various pain puzzles and helping my clients achieve long-lasting pain resolution. It took a lot of learning and even more unlearning, but the results continue to impress me on a daily basis. I could never go back to just being a stress reduction therapist. Discovering Medical Massage was like trading a horse and buggy for a high-performance sports car. While the first one can provide you with a unique and enjoyable experience, you would still want a Ferrari as your ride to the hospital. My biggest professional ambition now is to grow my private practice into a multidisciplinary facility for somatic rehabilitation where my community can have access to proper, effective, integrative, affordable care; and which could serve as a platform for further scientific research in the field of Medical Massage and applications of manual therapy. I’m forever grateful to Dr. Ross for his expertise, dedication and continuous selfless efforts in bringing back the science, educational and clinical standards, and results into American massage therapy. Since early childhood, I’ve been fascinated with the human body and anatomy and the powerful processes in which a person could be healed naturally by the trained hands of another. Following my education at Florida State University, I decided to pursue a career in massage therapy by attending Florida College of Natural Health. 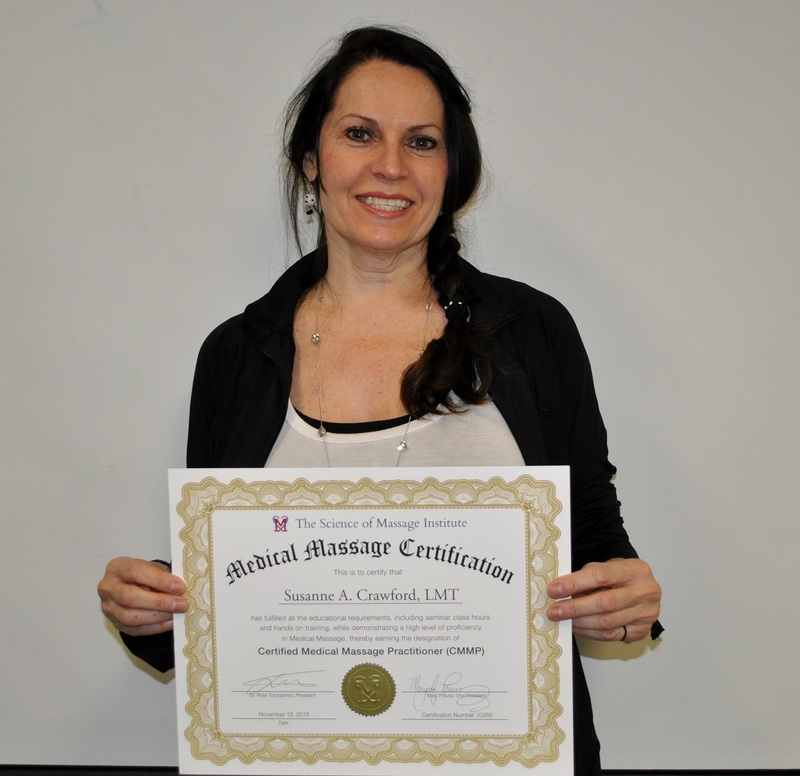 After graduating, and having a hunger for more knowledge, I went on to obtain my certification in Neuromuscular Massage Therapy from the NMT Institute. My passion has always been on the clinical side of massage and the power it has to change people’s lives. Nothing is more rewarding than bringing relief to a person who has been suffering from years of chronic pain. With nearly 20 years of experience, I’ve developed a diverse skill set and a comfortable working knowledge of chiropractic, clinical, athletic and high-end luxury spa settings. One of my proudest and most interesting experiences was working for Cirque Du Soleil in their physiotherapy department. Although I have a broad array of interests, I’m eager and excited to further integrate my learning from Dr. Ross and the Science of Massage Institute to build my Medical Massage practice at Kneaded Therapy in Fort Lauderdale, Florida. I am passionate about specializing in the treatment of headaches, but welcome anyone in need of Medical Massage. I’ve always known that I wanted to work in the alternative healthcare field. When I was younger, I was fascinated and in awe of books about physiology and acupuncture. It wasn’t until later in life that I started this journey of becoming a bodyworker. Even though I had graduated from notable schools with titles such as Holistic Health Practitioner, even an A.S. in Holistic Health, I still felt like there was something lacking. I searched out CEU classes to fill what I thought I was missing. It was at that time that I came across a Russian Sports Massage class with Oleg Bouimer. He said at the end of that fantastic workshop that if we had continued interested in a medical approach, we should take Dr. Ross’ class. After much deliberation and spending two days shadowing Curt Lezanic, I knew that I was on the right path. While spending the day with Curt, he told me that these techniques are nothing like I had ever been taught and that I would be so blown away that I would be brain dead after the first day. I thought, “Yeah right!” Curt could have not been more on point. My first theory class with Dr. Ross washed over me like a wave. It was at that class that I realized I didn’t know what I didn’t know. I am not going to lie and say that it was all easy. There is a lot to take in, process, practice and repeat. Yet anyone who has extended experience with Dr. Ross knows that it is worth it. I would like to share with you the two most valuable things that I personally gained from this program and that are most valuable to me. First, Dr. Ross provides not only a wealth of knowledge, but also detailed follow up support, providing answers to any questions that you may have about how to best approach a treatment plan with one of your clients. The second thing was something that I never thought I would have and that is clinical confidence. Now, after completing this certification, when clients move into my space with their issues, not only can I confidently tell them how I am going to treat them, but I can also lay out for them an honest treatment plan. This is particularly valuable, especially when everyone else is telling them that they have to just wait it out or that this problem/ailment is in their head. This also allows the client to build confidence in the work that you do, which will improve your sessions later on. I can honestly say that I am a much better therapist due to Dr. Ross and the SOMI Team. I graduated from Reflections of Health School of Massage, Johnson City, TN in December of 2013. I was looking for a direction to further my knowledge of massage therapy in order to help resolve people’s aches and pains. 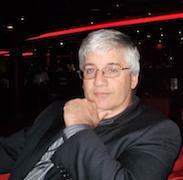 I was so thankful to Dolores Champagne when she told me of Dr. Ross Turchaninov and Medical Massage. I purposefully mention that I’ve only practiced as an LMT for 3 years because I want to say, with conviction, that after having attended the required seminars and having a basic understanding of the information that can be found in Dr. Ross’ textbooks, Medical Massage really works! Definitely the protocols bring relief and, with the client’s cooperation, can resolve the problem. I have been fortunate to be able to successfully treat and bring pain relief to my six children and many people in my community of Bristol, VA before and since I received my CMMP in October, 2016. This is just the beginning for me on the path to becoming a clinician. 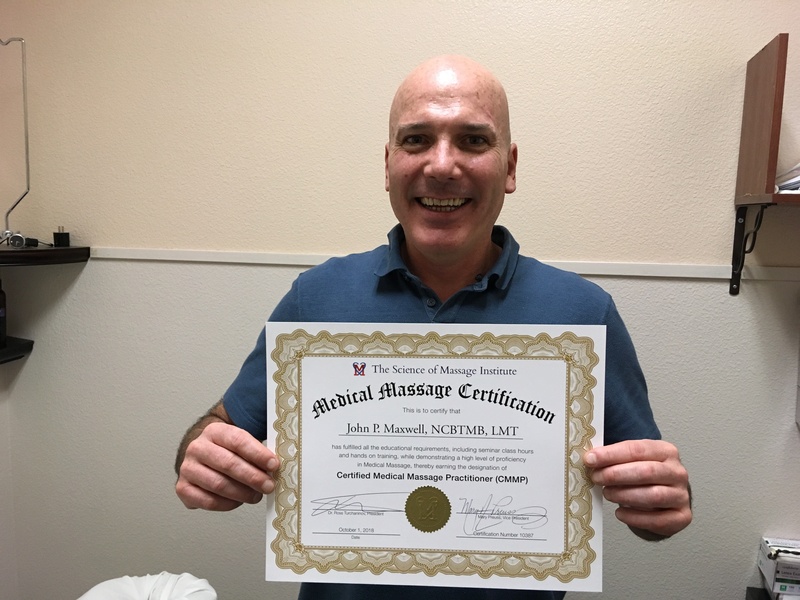 I consistently study the textbooks, watch the Video Library, attend more SOMI seminars, work with other Medical Massage therapists and refer to the numerous helps provided by SOMI to further build my knowledge base. By doing this I am gaining confidence to help the medical community consider the benefits of Medical Massage. This, in turn, will be the answer many are seeking for unresolved somatic disorders. Thank you, Dr. Ross and Mary! I love you both!! 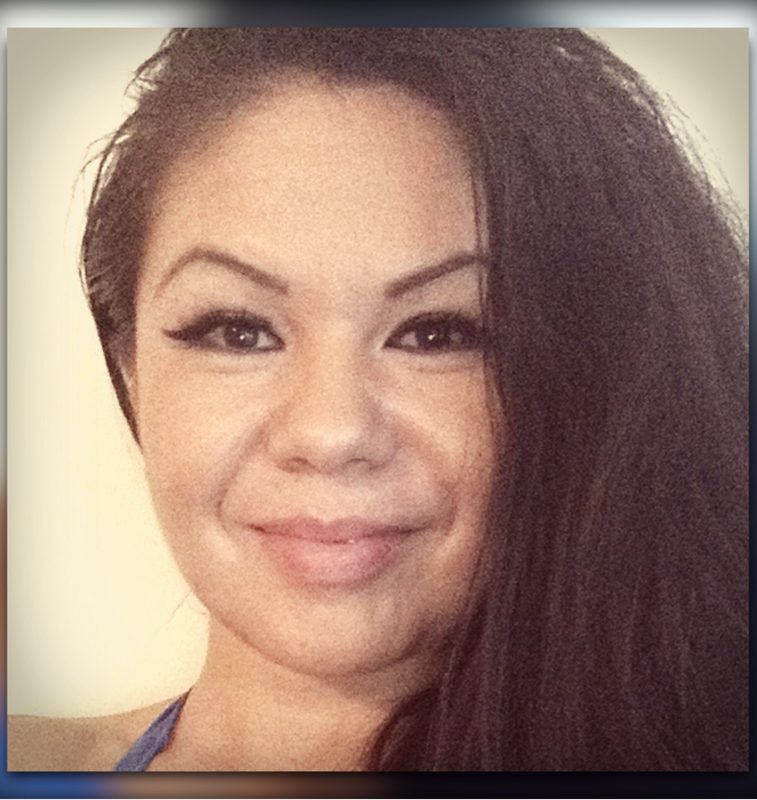 Ashley Essick is a massage therapist practicing in Dallas, Texas. She studied at the University of Texas at Dallas earning a degree in psychology with additional focus in Biology, Business, & Neuroscience. She also worked for the State of Texas as a children’s social worker for 5 years. Ashley was drawn into the practice of massage while completing her application for medical school. 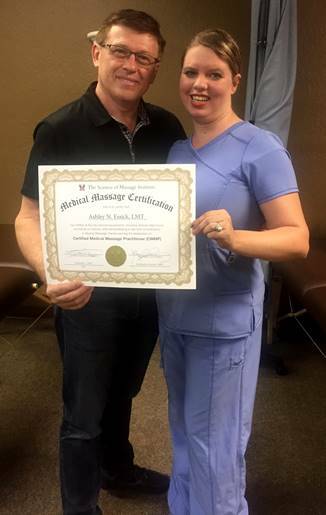 While attending massage school she was recommended to Dr. Turchaninov of The Science of Massage Institute, by various massage instructors. She has found a great passion in practicing Medical Massage. It is her belief that with the correct application of manual medicine, Medical Massage, this fills the gap in traditional medical practices. Ashley’s goal is to establish a practice where physicians and CMMPs work in conjunction for the greatest health benefit of the patient. Josie C. Garcia was born in 1945 in the Philippines. In 1965 she earned her Bachelor’s Degree in Business Administration, with a major in Accounting. She became a Certified Public Accountant in her country in 1966. Josie emigrated to the United States in August of 1968 and landed in New York to work for Chase Manhattan Bank as an auditing examiner. In 1973 she founded A & G Business Services with a partner to do accounting work and taxes for a company affiliated with Nytronics, Inc. She moved to Florida, a retirement state, in 1992. Because retirement is not in her vocabulary, she took a course in the medical field as a Certified Nursing Assistant to become an owner of an assisted living facility. She closed the business in 1998 and pursued a course in massage. She became a Licensed Massage Therapist in 1999 and has had her own massage business up to the present time. In 2016 she heard about The Science of Massage seminars and became intrigued with Medical Massage. 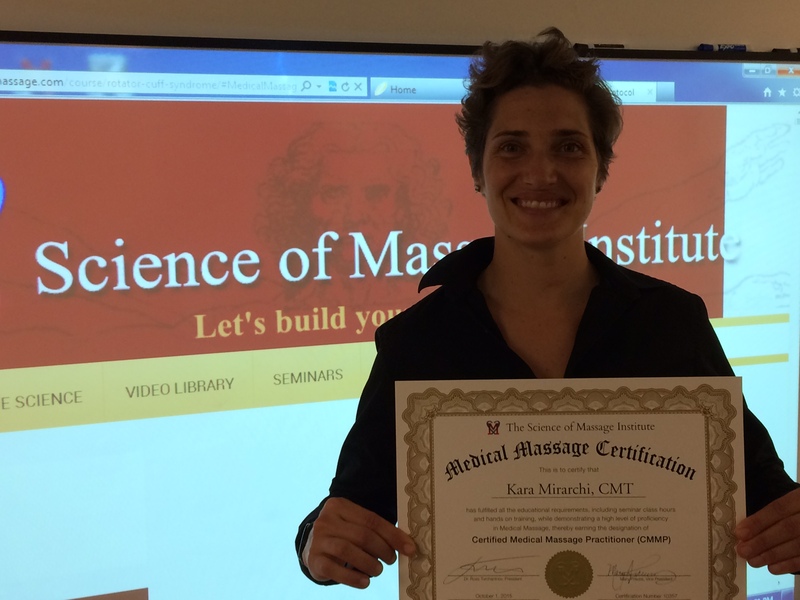 She knew right away Medical Massage was her future and immediately joined our CMMP program. 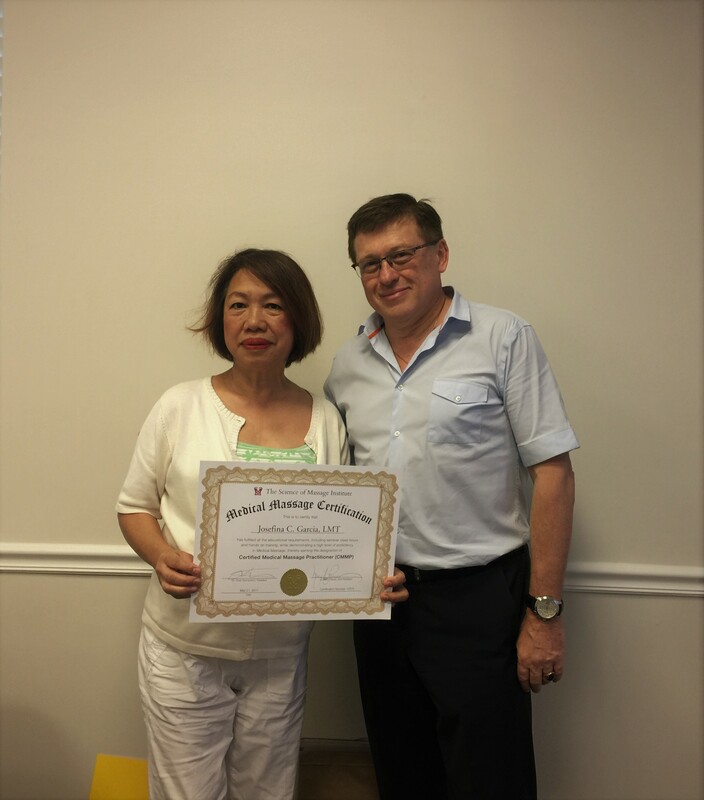 On May 18, 2017 she was awarded her CMMP certification by Dr. Ross. P.S. Josie founded the Joy & Care-Giving Foundation in 2005, an organization committed to providing financial and technical support to build schools, with a focus on the poorer areas in the Philippines. In my 26 year career as an independent massage therapist in Melbourne, Florida, I thought I would never find a provider of strictly science based massage. At the time I didn’t even call it that. I was seeking clinical massage techniques for more credibility in the medical community. In late 2014, I attended an orthopedic massage seminar given by Dr. Jeff Cullers and there heard the magic words, “Dr. Ross Turchaninov and the Science of Massage Institute.” I went home, checked out the SOMI website and knew at long last I had discovered my path! I found this level of education so exiting but also intimidating due to the sheer volume of information. But as you take the seminars and enjoy the educational camaraderie, learn by reading all the texts and follow the Video Library while treating, I assure you that at a certain point it all begins to gel!! Your clinical mindset is created and your skills will only improve. It must be stressed that all of our great stories could not have happened without Dr. Ross’ unflagging dedication and Mary’s constant support. I cannot thank you both enough. Your love of Medical Massage and for your students is palpable! Medical Massage – what a fabulous way to culminate and revitalize my career simultaneously. 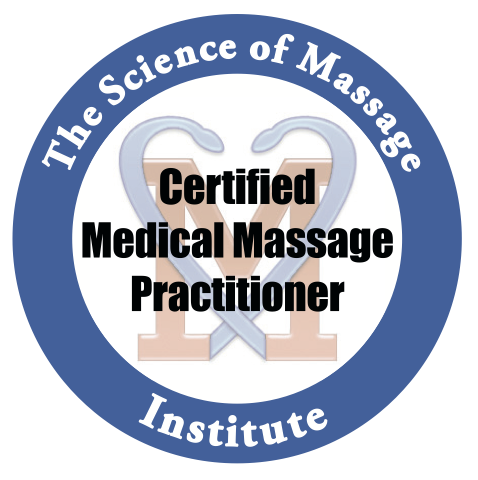 I am also extremely honored to join the SOMI vanguard of CMMPs in the Medical Massage movement in the U.S. It’s long overdue. 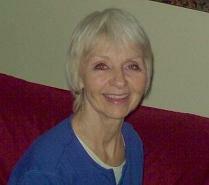 Mary Ann has been a Licensed Massage Therapist since 2009. Early on, she became frustrated by repeatedly treating patients for the same issue and not seeing long lasting results. Being passionate about learning and helping people, she has continued her education over the years to become effective at treating numerous conditions. A pivotal point in her career was when she started studying with Dr. Ross Turchaninov from the Science of Massage Institute in 2014. She immediately appreciated that his teachings are based in science, that multiple modalities are used, and in-depth assessments are taught for common conditions. She enjoys using her critical thinking skills and treats each patient as an individual vs. using cookie cutter techniques. 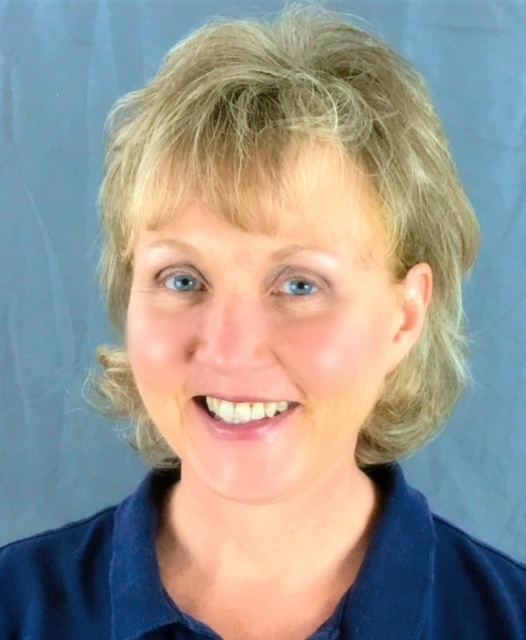 Mary Ann is also a Certified Neuromuscular Therapist and Certified Lymphedema Therapist. Prior to practicing massage, she earned a Bachelor's degree in chemistry and worked in the pharmaceutical and nutritional supplement industries. Greetings! I am a single mother of two awesome kids - a sassy Yorkie and a delectable hairless Chinese Crested dog. Before finding my passion in massage therapy I had an eclectic career. After earning a bachelor’s degree in International Business I went on to become a photographer turned Private Investigator whose overarching goal in life was to help people in any way I could. That goal found its niche in the science -or rather the art- of Medical Massage therapy. Upon first dipping my toes into the vast ocean of information and protocols that is Medical Massage, I immediately recognized the benefits of its techniques and premises. By applying my new-found knowledge on even general massage clientele, I began to realize the astounding ability I had to affect clients’ bodies on such a deep physiological and scientifically based level. I found my clients getting results that way surpassed the benefits of a simple relaxation massage session. Even if you're a massage therapist who never intends to do Medical Massage sessions with a client, you will still benefit tremendously in your day to day work from gaining the wisdom and knowledge with which Dr. Ross’ teachings are saturated. I can’t stress this enough; Medical Massage is a realm of unlimited possibilities that any massage therapist can and will benefit from! The wisdom and techniques that Dr. Ross imparts to his students is incalculably valuable and will positively alter the overall experience of both you and your clients. He not only gives you the What and the How, but he goes beyond that to give you the Why, Where, and When. Though Medical Massage composes many little things that come together to form a more astute type of massage, there is one thing that brings it all together: everything I learn is for the betterment of my clients’ physical and emotional health and at the end of the day, that is the most incredible lesson I have taken from my new-found passion. 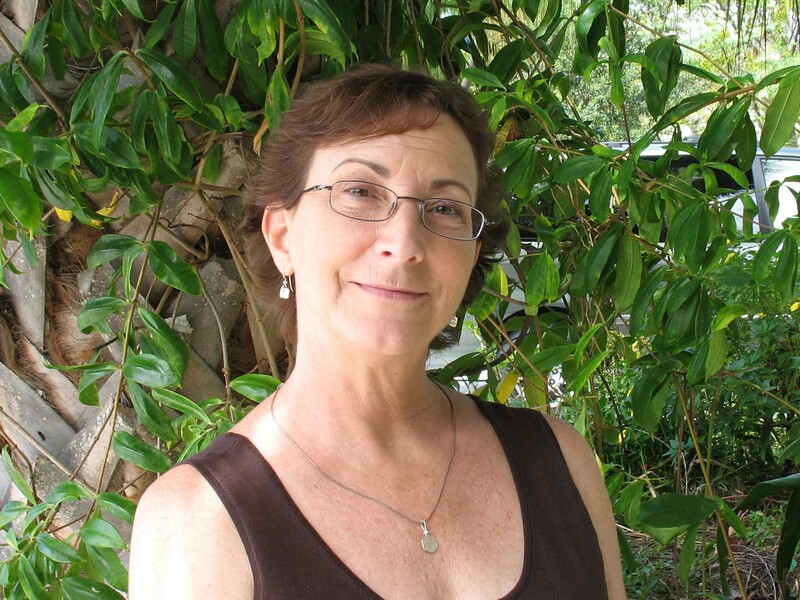 Patty is a graduate of Sarasota School of Massage Therapy. She is certified in Manual Lymphatic Drainage, Prenatal Massage, Bellanina Facelift Massage and Health Ministry for Nutrition and Natural Living. Her training and practice also include Medical Massage with Dr. Ross Turchaninov (The Science of Massage Institute), Neuromuscular Massage, Geriatric Massage, Swedish Massage, Deep Tissue Massage, Face, Neck & Cranium Headache Relief, TMJ and Ayurvedic Hand and Foot Massage. Along with her certification in Bellanina Facelift Massage, Patty has been trained in Ezzi-lift photodynamic facial treatment by Avazzia and Redefine Macro Exfoliation. All are non-invasive anti-aging treatments for a more youthful appearance. She is passionate about a natural approach to wellness, healing and a youthful appearance. 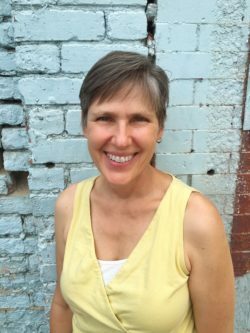 With a degree in teaching, Patty enjoys educating the public about the benefits of massage and natural living. She has been involved in the assisted living industry for the past 14 years, first as a volunteer and later as a Life Enrichment Director. She has earned “The President of the United States Volunteer Award” and as a Life Enrichment Director earned the “Legend of Honor Award” for her performance. Senior citizens hold a special place in Patty’s heart. She is dedicated to continuing her education and believes that we can never stop learning how to advance in this field. Patty works for Massage Therapy Connections, Sarasota, Florida, www.MassageTherapyConnections.com. Born and raised in Moscow, Russia during the Soviet era kept Yulia busy as a child in tons of athletic and performing arts activities. Upon her emigration to the U.S. when she was 18 Yulia found out the hard way how little "hands-on" therapy was used by American physical medicine when her sports related injuries would flare up. It was very confusing and shocking to her because massage had been a part of almost every treatment she had in the USSR. She knows firsthand what a valuable and powerful tool Medical Massage is, even though till this day it is still virtually unknown in this country. She knew right away she must learn Medical Massage and she must pass the torch or at the least teach people about its importance. 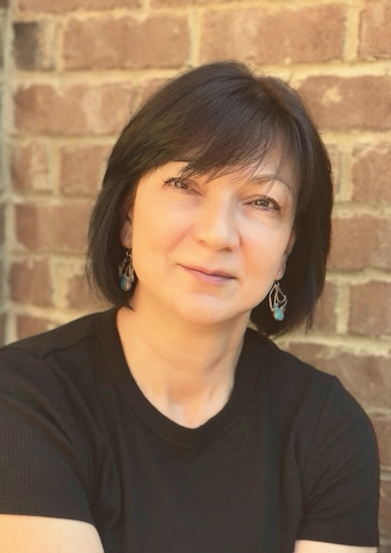 She was very fortunate to have the opportunity to learn from the finest Medical Massage practitioners in the US - Dr. Ross Turchaninov, Dr Boris Prilutsky and Oleg Bouimer, who forever changed her professional career by adding greater value and deeper purpose. Yulia is also a NASM and ACE certified Personal Trainer and a Certified Yoga and Pilates Instructor. When Carole Suzanne first used the Science of Massage Institute (SOMI) protocol for bone on bone osteoarthritis (OA) in knees, it seemed miraculous. Ending the first session, the patient reported 0 pain/0 tension. It had been at level 9-out-of-10 for several months. After four OA treatments, she held the results four weeks. Dr. Ross Turchaninov confirmed the results were typical. “Those dramatic results are what drive me. It was my pleasure to empower her to prepare for the best outcome of future surgery,” says Carole Suzanne. Ms. Jackson has successfully used integrative techniques to treat clinical conditions in her independent practice since 2008. In 2014, she began exclusively using SOMI MM protocols for clinical applications. They target every layer of soft tissue to establish quicker and more stable results. This provides more dramatic results and allows more success with advanced cases such as OA, complicated plantar fasciitis and scoliosis. She worked at the University of Central Florida’s Health Resource Center as a Wellness Consultant while earning two degrees tailored for optimal Health and Fitness. Given her early experiences as a modern dancer and fitness instructor, she has been studying muscles over 2 decades. Her experience teaching Personal Health, Student Success and Public Speaking at Valencia College also prepared her to provide support for her clients implementing healthy lifestyle changes. “The best self-care plan is the one you will do.” That’s Carole Suzanne’s motto as she provides options for healthy lifestyle support. 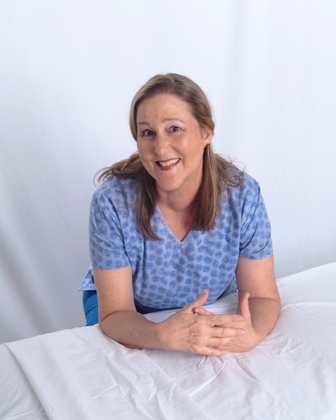 Ms. Jackson continually strives to better herself as a medical massage (MM) clinician. She is also dedicated to seeing MM to rise in recognition among physicians and mainstream medical care in the US. Her work is getting the attention of physicians. A physician written letter of recommendation affirming her MM proficiency is available on request. Also see testimonies posted on her website from other community leaders who have experienced amazing results in her care. 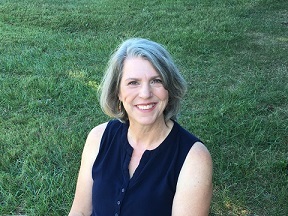 When she is not engaged in the joy of learning and reviewing concepts in advanced MM and healthy lifestyle support options, you may find Carole Suzanne gardening, swimming, cooking, or hiking and enjoying the company of loved ones. Growing edibles is one of her favorite past times, “Nothing tastes as good as fresh from your own garden.” Friends are welcomed when they ask her permission to drop by to show others her easy Earthbox garden method. Speaking at various work places and community groups is one venue for public education on muscle health. She combines her love of gardening and love of inspiring pain free living by teaching body mechanics for home and garden. Her most popular topic is Find Your Funny: Nurturing Positive Humor. Hi, I am Melissa Reynolds and I am so thankful to have found Dr. Ross and SOMI. I have always been interested in the workings of the human body. I originally wanted to become a Physical Therapist and with all of the twists and turns of life I did not head down that path. Although I have had many different careers, I still felt I was missing something. After completing my Associates of Science program I decided I wanted something different for myself and pursued a degree to become a Physical Therapist Assistant. Due to some unforeseen test anxiety I was not able to take the boards for this degree program. The program director suggested I get licensed in another field and then come back and re-try the program. I left the program feeling completely defeated and stumbled into a Massage Therapy program. Everything worked in my favor from timing, financing and the detail of the different modalities taught in this program. I began the program and discovered that there was much more to massage then I could ever imagine. Then one of my Instructors suggested I look into Medical Massage after graduation through SOMI with Dr. Ross. So after I found my love with massage in school, I looked into SOMI and Medical Massage. After I went to the first seminar I was hooked and I continued through the summer to complete the CMMP certification. The knowledge I have gained through this program along with my knowledge from school has made me beyond confident in my ability to help others. I have been using the knowledge from Medical Massage to help my clients who have many different types of issues. The knowledge I am able to provide my clients to prevent further injuries and maintain the health of their bodies for years to come fills the void that I had for years. All I ever wanted was to have the ability to help people have a better quality of life and with the information I have been taught through SOMI I have the ability to provide all those with pain and discomfort relief and hope that a less painful life is in sight. I have four children who are amazing individuals and grew up in adverse conditions but inherited the drive for life and for love from our family. Finally, I realized that my first passion, my love for understanding of the human body, must finally come to fruition. Being Russian, I always had a great admiration for Medical Massage, as it was an essential part of the medical field. I received my massage therapy degree from Gwinnett College, but I knew that something was missing in my education, so I started to look around for a program which would fulfill my demands. Discovering SOMI’ program, I finally expanded my horizons and found what I was looking for. I feel privileged to have been given the opportunity to study with Dr. Ross Turchaninov! My interest in massage started after I visited a chiropractor’s office that worked in conjunction with a massage therapist. I observed that there is much more to massage therapy than just relaxation or therapeutic massage. While attending a professional massage school, Mind Body Institute in Nashville, Tennessee I realized even more that I have a passion for helping people to fix problems and pains in their body. Thankfully after becoming a licensed massage therapist my school introduced me to Medical Massage and Dr. Ross of The Science of Massage Institute. I realized right away the value and benefit of Medical Massage and Dr. Ross' teachings of scientifically approved methods. I recognized in him that same passion to help people, plus passion to teach massage therapists those scientific methods. I am proud to announce that I am now a Certified Medical Massage Practitioner (CMMP), and I love it. I still enjoy giving therapeutic relaxation massages, but my real passion is Medical Massage so I can truly help people eliminate their pain and live a full and happy life. I continue to study on my own and continue to study under Dr. Ross to learn more and more about Medical Massage and how to help people by using scientifically tested and explained methods. I have 22 years’ experience as a Licensed Massage Therapist and 20 years’ experience as a Certified Occupational Therapy Assistant. I graduated from Suncoast Center for Natural Healing-School of Massage in 1996, where Angela Bitting, my Sister and a fellow CMMP, was one of my Instructors. In 1998 I graduated from Daytona State College from the Occupational Therapy Assistant Program and immediately began my journey in the realm of Orthopedic Rehabilitation. Over the last 22 years I have had the opportunity to work with numerous pre-operative/post-operative patients in the orthopedic rehabilitation and massage therapy settings. I have sat in on multiple surgeries with Orthopedic Surgeons and have had the opportunity to treat those patients 1-2 days after surgery. Over the years working in Outpatient Orthopedic Rehabilitation and Clinical Massage Therapy (aka Medical Massage) settings I have worked with a variety of diagnosis/orthopedic based conditions, such as Proximal Humerus Fractures, Rotator Cuff Repairs, Total Shoulder Replacements, Flexor Tendon Repairs/Extensor Tendon Repairs (In the OT Hand Therapy Department) and I have always had great success in my treatment approaches. But it was not until I became a Certified Medical Massage Practitioner that my assessment skills became enhanced even more. Much of what I learned from Dr. Ross and SOMI was already a part of my Occupational Therapy background, but learning the levels of assessment for the skin, superficial fascia, myofascial, muscle layers, using Dermagraphism, Kiblers 1 & 2, Dickies, Opposite Shift Test, took my treatments to a whole new level. Learning when and why I would use Connective Tissue Massage versus Segment Reflex Massage versus a Treatment Protocol was the last piece of the puzzle for me as a Practitioner. I also am the Lead Instructor at Withlacoochee Technical Colleges, Massage Therapy Program. After receiving the credential CMMP I have embedded the principles of Dr. Ross’s teachings into my course curriculum. When my students learn how to perform massage strokes we spend weeks in the “Therapeutic Massage” (aka the blue book), and then months in the Medical Massage I & II textbooks. The students in my WTC Massage Therapy Program learn all assessments and treatment philosophies presented in those three textbooks. When students graduate from the WTC Massage Therapy Program they are primed and ready to enter the Massage Therapy Profession with a strong foundation in true Medical Massage. Having added these textbooks into my classroom setting, along with understanding the principles of the textbooks, my students are entering the Massage Therapy Profession with a higher level of hands on and assessment skills. Employers are impressed with their knowledge and clinical decision making processes. Finally I would like to share that I have dedicated much of my years of practice giving back to the profession and served as the AMTA Heart of Florida Unit Chairman from 2006-2009 and was elected as an AMTA Florida Delegate for 2010, traveling to the AMTA National Convention to represent the AMTA Florida Chapter at the Delegate Session. I was involved in the development of the AFMTE ELAP and the AMTA Massage Therapy Body of Knowledge projects. But since 2014 I have begun to find a way to build a better curriculum for my program and the philosophies /teachings of SOMI are what is helping my students excel at the highest clinical level. I am happy to say I grew up in El Paso, TX and graduated from Austin College in Sherman, Texas with a Bachelor of Arts degree in Psychology. I have been a licensed massage practitioner in the state of Nevada since 1993, and am a Board Certified Massage Therapist through the National Certification Board of Massage Therapy. Over the years, I have had the honor and pleasure of working at some of the most famous spa resorts in the world here in Las Vegas, including Treasure Island, Desert Inn, Bellagio, and Mandarin Oriental. In my quest to help people I have taken countless hours of continuing education in various modalities. I can honestly say, nothing compares to the education and training I have received through Dr. Ross Turchaninov through The Science of Massage Institute. Medical Massage as taught by Dr. Ross has enabled me to effectively approach pain syndromes and conditions I previously did not understand were so manageable with Massage Therapy. Reinforced by sound scientific principles and research, the Medical Massage Concept allows me to better understand and pinpoint the cause of a person's discomfort as it relates to the soft tissue (i.e., skin, muscles, tendons, fascia, etc.) component of adaptation. If an individual's pain or discomfort is caused by soft tissue irritation of surrounding structures (i.e., nerves, bone, etc. ), there is a good chance Medical Massage can significantly help her or him avoid a downward spiral towards the damaging effects of long term medication, surgery or chronic pain for the rest of their live. As many of my clients have discovered, amazing things happen when conductance of nerve communications are "freed up"! I consider it such a joy and honor to help people live more enjoyable and productive lives with considerably less or no pain. I hope to continue to have the opportunity to do so in the future! Liam’s interest in the healing arts began during college, when he spent his junior year at a Japanese university and took a course on Shiatsu (acupressure). Flash forward, two Master’s degrees later, six years of work and study in Japan and a 25 year career in business analytics to when Liam left the corporate world to enroll in massage school, hoping to combine his Shiatsu background with Western massage modalities. 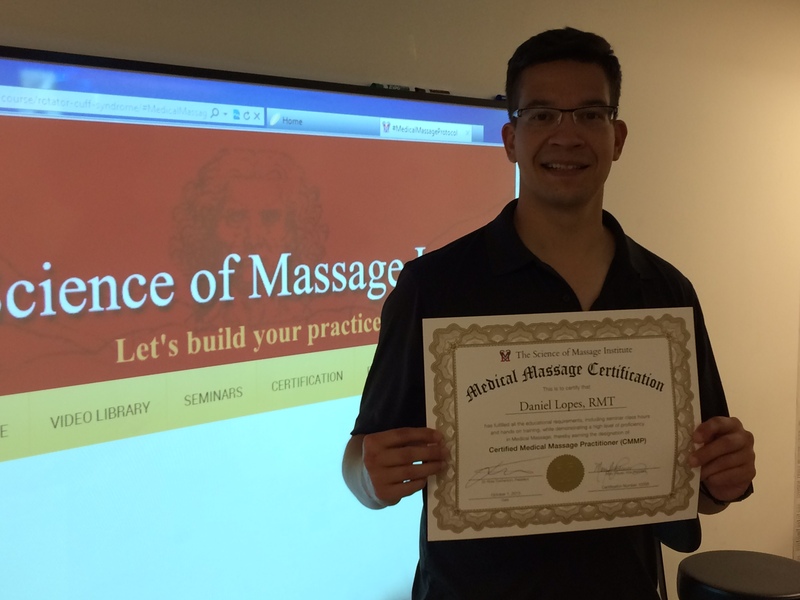 Liam was first introduced to Medical Massage in his massage school, Southern California Health Institute (SOCHI), which incorporated the theory and practice of Medical and Sports Massage in its curriculum. Since graduating, Liam has worked in a variety of settings, including Chiropractor offices, Luxury Hotel Spas and clients’ homes. He frequently found himself referring to Dr. Ross’ Medical Massage manuals for guidance in assessing clients’ somatic ailments. This led him to pursue a more intensive study with Dr. Ross through seminars and hands-on workshops. 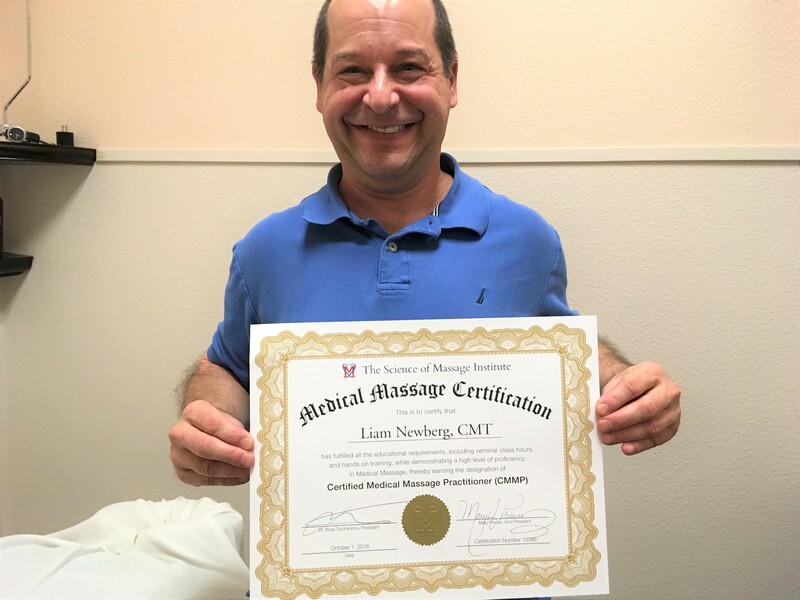 Since earning his Certified Medical Massage Practitioner (CMMP) designation, Liam now combines his in-depth knowledge of muscular systems, physiology, and Medical Massage to deliver scientifically-based, clinically sustainable pain relief and muscle relaxation to clients. Far too many people go through life with chronic pain and muscle tension. There’s no reason to suffer any longer! Noninvasive, clinically proven Medical Massage Protocols are available to help. Nothing gives Liam more pleasure than improving a client’s quality of life by alleviating pain and muscle restrictions. Liam is based in Los Angeles. I’m Doctor In Medicine Veterinary (DVM) graduated with honors in 1987. Why am I in the field of Medical Massage after being a Doctor of Veterinary Medicine for 32 years? Well, here is my story: I met Ruth, my future wife when she was 15 years old. I remembered that she regularly visited an orthopedist because she suffered from constant upper and lower back pains. Her physician diagnosed her with Thoracic Scoliosis and Dorsal Lordosis said that there was a very good chance that she would need surgery later in life to correct the deformation. Time passed quickly, and we were married when she was 24 years old. After the birth of our second child, she experienced more pain in the upper and lower back. I researched everything and that brought me to the massage field for pain relief. I examined all the different techniques and approaches, I bought books on reflexology, traditional massage, acupressure, traditional Chinese massage techniques, pediatric Chinese Massage, etc. I used what I learned with moderate success until one day in 2009 as I continued to search for something better I stumbled on the Aesculapius Books (www.aesculapbooks.com) web page, which offered three textbooks Medical Massage (Volume I and II) and Therapeutic Massage, A Scientific Approach. I ordered them immediately since they used only science-backed information. While waiting for the textbooks I researched the author, Dr. Ross Turchaninov and then I found the Science of Massage Institute website. I clicked on the Anterior Scalene Protocol from the Video Library and I was greatly impressed by its presentation and very easy way to learn the recommended techniques and approaches. Instantly, I realized that this was information I had been seeking for several years! After I received the textbooks, I studied the protocols using the books and the Video Library. I applied the different protocols on my wife and was amazed how quickly Ruth improved after I used the Levator Scapulae Muscle Syndrome and Upper and Low Back protocols. After I helped my wife, word spread and many of my friends started to see me for treatment and, after I helped them, they recommended me to their friends. At this point, I realized that being a Medical Massage practitioner allowed me to help people and generate additional income for my family. The more I practiced, the more people with various pain syndromes come to me. For many of them, I was their last hope. Many of the pain syndromes I observed in my patients matched exactly with what I read in the textbooks and saw in the Video Library. I have been using Medical Massage protocols and recommended techniques for almost seven years with incredible success. In December 2017 my wife and I agreed it was time to retire and pursue my dream of having a clinic that would care for patients suffering from musculoskeletal abnormalities and syndromes. After understanding the Certification process I started SOMI classes in June, 2018. I never realized that the first seminar I participated in in 2009, would be the beginning of a new career in my professional life. That, undoubtedly, if I use continued eduction, passion, discipline and dedication I would be able to have my own clinical practice to help thousands of patients to recover their quality of life according to the abnormalities and pathologies that may be attended through Medical Massage from The Science of Massage Institute. Thank you to my beautiful wife and my two boys Juan Sebastian and Jeroni for your support and to all the patients that have encouraged me to continue this new path in my life. 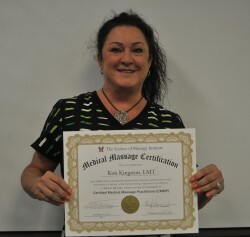 Laura Righter is a Certified Medical Massage Practitioner (CMMP) recently completing the 96-hour certification program with the Science of Massage Institute. 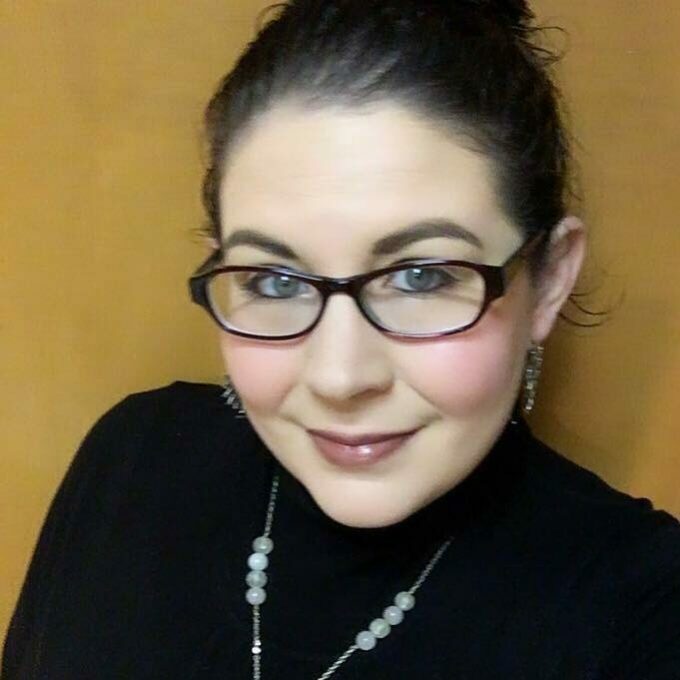 She is licensed by the state of Pennsylvania, is a professional member of the American Massage Therapy Association (AMTA) and specializes in science-based Medical Massage from The Science of Massage Institute. She attended Cortiva Institute of Massage Therapy in King of Prussia, Pa and graduated top of her class with a 4.0 GPA. She also received the prestigious Mary Jo Myers Outstanding Student Award, symbolizing her distinction as a Massage Therapist who would make a difference in the field of massage therapy. Completely humbled by the experience she always wondered how she would fulfill the expectations set forth by receiving such an award. She felt the bar was set high and she never lost sight of the expectations she felt the need to fulfill. In January of 2017 Laura walked into an CEU Oncology Seminar taught by Dr. Jeff Cullers, Premier Continuing Education. In that course she heard about Medical Massage and the Medical Massage Certification program through the Science of Massage Institute that would forever change her career. Laura was encouraged to continue, through the love of her children Olivya and Zoey, endlessly studying the material and applying the knowledge into everyday practice. Laura has fully embraced every aspect of this journey and now Medical Massage has become a part of her, as the knowledge and practice, along with her intuition has developed her professional clinical mindset. Laura can successfully provide Medical Massage with proven clinical results that will greatly improve the quality of life of the clients who choose to get on her table. She welcomes difficult cases where other treatment options have failed. She knows she can give clients hope and improve their quality of life through Medical Massage rehabilitation and she embraces the holistic approach to pain control as a CBD Distributor. Laura looks forward to learning and growing and giving with each new case presented to her and believes that the biggest reward rests within the clients that she will continue to help along her journey.